How to convert Sony AVCHD on Mac? Do you like shooting videos with Sony camcoder or camera? When we travel or family gatherings, we often use the camera to record a lot of interesting things, this is a good way to record and share happy memories with family and friends. For editing Sony recordings on Mac, you need a Sony AVCHD Converter for Mac. With the help of this professional Sony AVCHD Converter for Mac, you can easily convert Sony AVCHD to any format. Like MOV, MP4, MPEG, WMV, DivX, 3GP, FLV, etc. to import to editing software, such as Final Cut Pro X, iMovie, FCE, AE, Premiere etc. Other than that, you can play the converted video on portable player, such as iPad 5, iPhone 5, Galaxy S4, Apple TV 3, Xbox One. Sony is a Japanese multinational corporation headquartered in Tokyo, specializing in electronics, game, entertainment and financial services sectors. Developed jointly by Sony and Panasonic The AVCHD Format has been updated to Version 2.0 by adding new specifications for 3D and 1080/60p,50p. New trademarks; “AVCHD 3D”, “AVCHD Progressive” and “AVCHD 3D/Progressive” are introduced. AVCHD have different codec, some editing software can’t import Sony AVCHD video files. 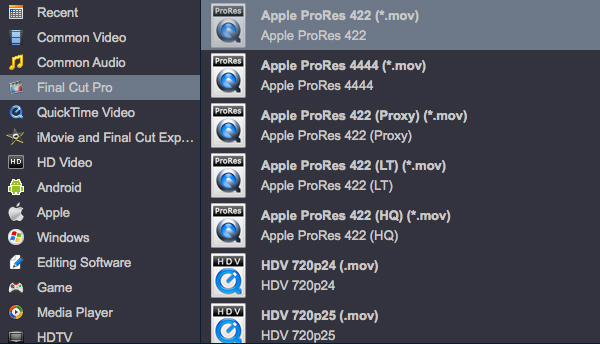 So, we have to transcode Sony AVCHD on Mac. Handycam Camcorders : Sony HDR CX240, FDR AX100, HDR PJ540, HDR CX330, HDR PJ810, HDR PJ275, HDR CX900, HDR PJ340, HDR PJ430V, HDR PJ230, HDR PJ790V, HDR PJ380, HDR PJ650V, HDR CX200, etc. Advanced Camcorders: NEX VG30, NEX VG900, etc. Action Cam: HDR AS30VR, HDR AS100V, HDR AS30V, etc. NXCAM & AVCHD: HXRMC2000U, HXRMC50U, HXRNX30U, HXRNX3D1U, HXRNX5U, HXRNX70U, NEXEA50UH, NEXFS100, NEXFS700, etc. * Support input Sony AVCHD footage (*.mts, *.m2ts) at 4K, 2K, 1080i, 1080p, 720i, and 720p. * Convert Sony MTS/M2TS to FCP, iMovie, and so on. 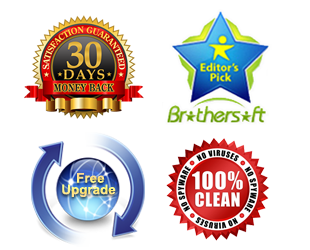 Free download AVCHD Converter for Mac, install and run it as best Mac AVCHD converter. When Sony AVCHD Video Converter for Mac main interface comes up, click “Add video” icon to load your AVCHD files into the program. Sony AVCHD Video Converter for Mac has many special video profile. Soon after your source Sony AVCHD files are imported into the program, you can move to “Format” menu and choose target format. 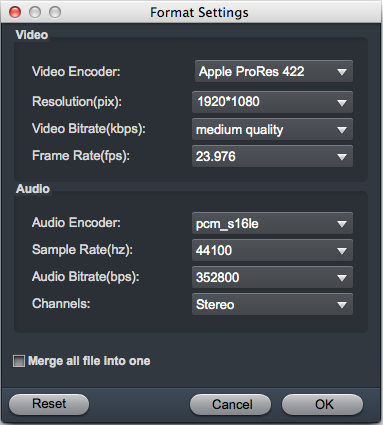 Such as you want to edit Sony AVCHD in FCP X, you can choose Apple ProRes MOV as output format. You are allowed to click “Settings” button and enter “Profile Settings” panel to custom image and sound quality, like resolution, bit rate, frame rate, sample rate, and audio channel. Click “Convert” button to start converting Sony AVCHD on Mac. Once the conversion finished, you can click “Open” button to get the generated video. How to convert Sony Alpha 1080P AVCHD/MTS video files?